La Maddalena is a town and comune located on the island with the same name, in northern Sardinia, part of the province of Olbia-Tempio, Italy.The townLa Maddalena is the largest town in the Maddalena archipelago, just 2km from the northeastern shore of Sardinia and sitting in the Straits of Bonifacio, between it and Corsica.The focal-point of pedestrian activity is found around Piazza Umberto I (formerly known as Piazza Comando-the older generation of natives in town still commonly refer to the piazza by its original name). Get out of town with these interesting La Maddalena side-trips: Museo Etnografico Galluras (in Luras), Capo Testa (in Santa Teresa Gallura) and Capo d'Orso (in Palau). 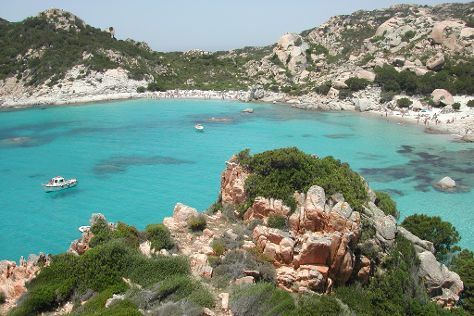 Spend the 31st (Fri) exploring nature at Parco Nazionale dell'Arcipelago di La Maddalena. There's more to do: make a trip to Memoriale Giuseppe Garibaldi and take an in-depth tour of Museo Nazionale Garibaldino di Caprera	. For reviews, photos, more things to do, and more tourist information, read La Maddalena online itinerary creator. The Route module can give you travel options from your home to La Maddalena. Expect a daytime high around 19°C in March, and nighttime lows around 7°C. Finish your sightseeing early on the 1st (Sat) so you can travel back home. Museo etnografico Galluras "il museo della Femina Agabbadora"